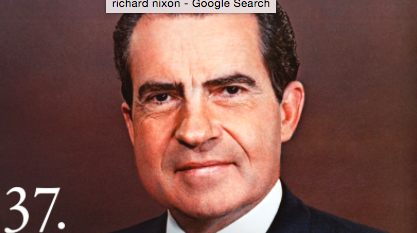 Today in section and lecture we talked about President Nixon and the watergate scandal. In 1969 president Nixon was elected the 37th president of the United States of America. Nixon was elected for his second term as president in 1972. August 8, 1974, Nixon would resign the next day. Nixon was quoted stating, “that process of healing which is so desperately needed in America.” By the time of his death on April 22, 1994, he had written numerous books on his experiences in public life and on foreign policy.